Chia is the richest plant based source of Omega 3, dietary fibre, protein and antioxidants. Chia is available in two colour varieties. The 'black' variety of Chia naturally contains a combination of black, and white seeds. The 'white' Chia variety was formed by specially selecting white seeds from the black variety. 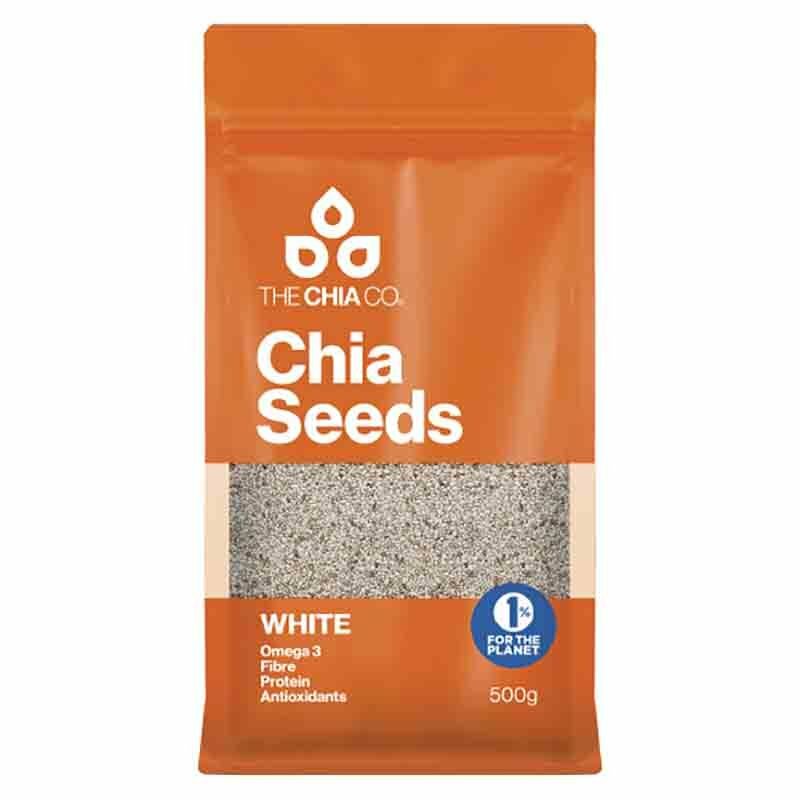 The Chia Company grows dedicated paddocks of black and white seed. Aside from the obvious colour difference, the seed itself is virtually the same in all of its properties - size, taste and smell, with the exception of a few minor seasonal nutritional differences. We refer to Chia as Nature's Complete Superfood because it is very high in nutrition that is essential for a healthy diet including Omega 3, dietary fibre and protein as well as vitamins, minerals and antioxidants. - Can Promote heart health - May support joint function and mobility - Can promote digestive health and aids regularity - Gluten Free Can be sprinkled on breakfast cereals, salads and soups. Blend into smoothies or add to bread and muffin recipes.